What does America’s relationship with Vietnam look like nearly 40 years after the fall of Saigon? The answer, it turns out, varies widely depending if you’re part of the government or a private citizen. As Washington grows closer to Hanoi through increased trade and military alliances, many Americans are cautious about the alliance. This gap in perspectives became clear this week as the United States began naval exercises with Vietnam. That trust and understanding was not felt in a town hall meeting in California this week, however. Six hundred people showed up to protest a proposal for naming Nha Trang, Vietnam as a “friendship city” with Irvine, California. The loudest opponents were Vietnamese-Americans, who, according to the LA Times, criticized Vietnam’s human rights abuses and lack of democracy. 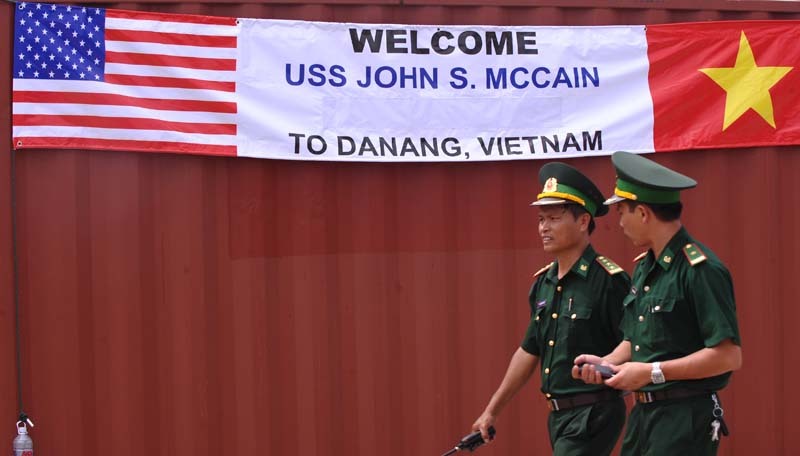 This week’s events show that four decades after the end of the war, there are still many challenges to friendship and reconciliation between Vietnam and the United States.